Troubled car manufacturer Volkswagen has received an unwelcome – and hilarious – reminder of its ‘dieselgate’ scandal at the Geneva motor show. 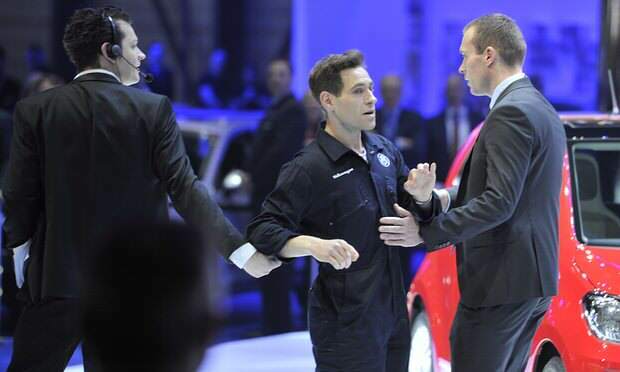 Comedian Lee Nelson (real name Simon Brodkin) gatecrashed VW executive Juergen Stackmann’s presentation of the company’s new electrical car. He made his way to the stand dressed in VW overalls while holding a spanner and a crudely labelled ‘cheat box’, reports The Week. “I have this new cheat box. No one is going to find out about this one,” he said, before reaching underneath the new car to fit it. The awkward exchange that followed was priceless. Stackmann tried to keep control before security arrived and escorted Nelson off stage. 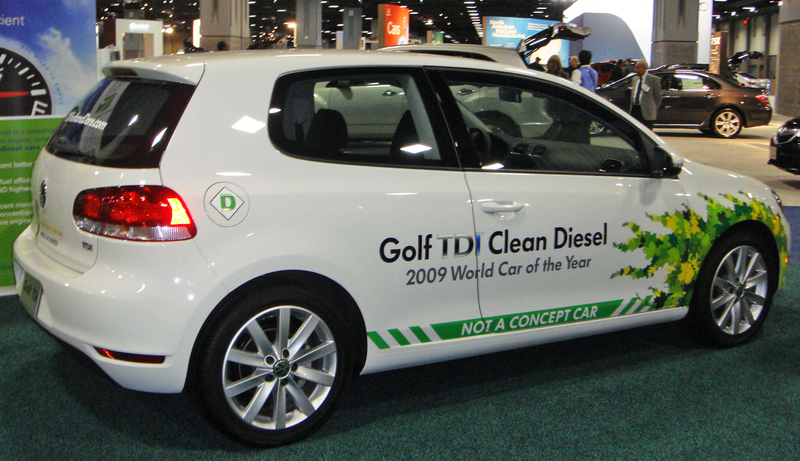 Mr Muller [VW chief executive Matthias] said it’s OK as long as no one finds out about it. This isn’t the first time Nelson has pulled a stunt like this. 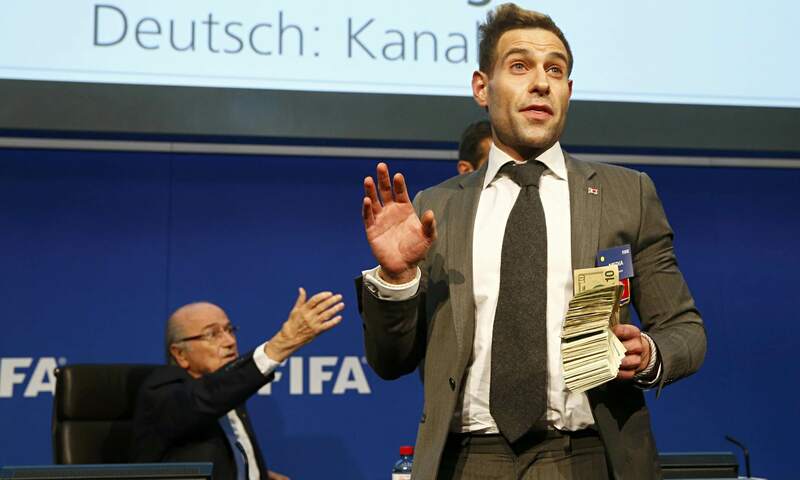 You may remember the British comedian infiltrating a Fifa press conference to shower Sepp Blatter – the organisation’s now former president – with banknotes. In the past he has also attempted to join the England football squad at Luton airport ahead of their 2014 World Cup and he has also joined Kanye West on stage at Glastonbury. Volkswagen boss Muller has recently said the deal with U.S authorities to end the emissions scandal could take longer than expected, but said that VW’s internal inquiry should be ready in April. All that aside, this was some gloriously awkward work from Lee Nelson.